We help put your money safely to work so you can enjoy a better life. As one of the most experienced financial advisory firms located in Walnut Creek (over 40-years in business), we provide highly personalized financial advice to you and your family. We work with you to develop a financial plan, plan for your retirement, build your diversified portfolio and continually monitor your investments. Our goal is to help put your money safely to work so you can enjoy a better life. 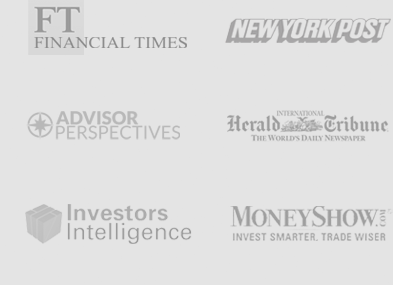 Meet the Financial Advisor Team. Tell us your story of where you have been, where you are today and where you want to be. plan around your needs and goals. We strive to execute the plan to protect and grow your valuable assets while navigating the risks and rewards of the markets. Sit back, relax and take comfort knowing we will always be there to help monitor your financial security. Our investment management service builds many layers of protection into your diversified investment portfolio. We are dedicated to generating the best risk-adjusted returns possible for you. Our “All-Season” approach emphasizes high quality, strong value, and income producing investments and is designed to adapt to the ever-changing economy and financial markets. We strive to make sure you participate in market gains while reducing your downside risk, so you can enjoy a safe financial journey with peace of mind. Learn more about Investment Management. We help craft a financial plan that fits your future and offer honest, effective, and creative financial advising that will guide you through accumulating, preserving and enjoying your family wealth. Tax efficient investing, charitable giving, contingency planning, retirement forecasting and legacy preparation are tailored to your specific circumstances. Our job is to help streamline and organize your financial plan so you can spend your precious time on what is most important to you. Learn more about Financial Advising. With our experience and well-designed process, we are your partner in preparing for and enjoying a secure retirement. Our retirement forecasting tools help determine how much you can afford to support your lifestyle after you retire and the best strategy to help you get there. We can help you organize and plan for your retirement so you will be confident you will have everything prepared for when you need it most. Learn more about Retirement Planning. If you are a financial advisor or financial planner looking for an experienced partner with a proven track record to help manage your clients investment portfolios, our sub-advising service could be the solution for you. With this service, you partner with us as we manage diversified investment portfolios for your clients based on a unique business cycle strategy. As sub-advisors with a strong emphasis on risk management we take over the day to day investment decision making process while you remain focused on growing your business and servicing your clients’ needs. Learn more about Sub-Advising for Financial Advisors. Your financial security is a critical benefit of our offering. We provide multiple layers of protection against cyber criminals, fraudsters, and risky financial markets. Gain comfort and peace of mind knowing your money is safe and secure. Our straightforward incentive based pricing completely depends on the value of your account. The total fee you pay rises when your account increases in value and falls when your account decreases. We do not receive compensation from commissions and strive to keep transaction costs low. Our interests are 100% aligned with yours, this means we look out for your best interests, at all times, above all else. By partnering with us we can help streamline and organize your financial life and save you precious time, so you can focus on what is most important to you. Spend less time analyzing, researching, and stressing about day to day financial decisions. You can’t buy time, but you can certainly use it more effectively and pursue your life’s interests and passions. We specialize in working with people in financial situations similar to yours and can help you through your major life stages. Lay the foundation for your future. Give your business the full financial attention it deserves. Start your new profession off on the right foot. Whether you are preparing for retirement, managing a major life transition or thinking about investing for the first time our financial advisors are here to support you. *Case studies presented are hypothetical scenarios and for illustrative purposes only. Download the 2019 Secure Retirement Guidebook. Valuable market insights designed to help you plan a better, more secure retirement. Learn how much you actually need to retire. Protect your nest egg, and more..